Congratulations to WuXi AppTec, WuXi NextCODE and Huawei on launching their world-leading China Precision Medicine Cloud platform. The announcement took place at a ceremony in Shanghai on May 24, 2016 bringing together leaders and experts of the Chinese Precision Medicine community. The China Precision Medicine Cloud platform combines WuXi AppTech’s leading open-access R&D capabilities, WuXi NextCODE’s genomic data analysis capabilities, and China’s premier cloud platform powered by DNAnexus. This platform ultimately will benefit patients by accelerating efficiency and effectiveness of disease diagnostics, treatment, and prevention made possible by the sharing and managing of genomic data in the cloud. We are excited to be working with WuXi NextCode to bring cloud-based genomics to China, and to bring Chinese genomics to the world. 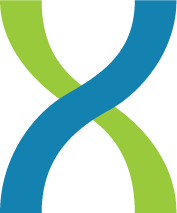 DNAnexus provides security, scalability, and collaboration for enterprises and institutions that are pursuing genomic-based approaches to health in order to accelerate medical discovery. The DNAnexus-WuXi NextCODE partnership also enables research, drug development, and clinical diagnostic testing worldwide. The DNAnexus technology is providing the security and compliance for the China Precision Medicine Cloud to meet the guidelines developed by the China Food and Drug Administration (CFDA). In the United States, DNAnexus has experience with precisionFDA, a key component of a similar initiative supported by the US Government. Additionally, the DNAnexus Platform has attained US CAP, CLIA, and HIPAA certification, supported by safeguards that are available for all of the company’s customers globally. We look forward to continuing to work with WuXi AppTec, WuXi NextCode and Huawei to create the first unified platform for precision medicine in China.